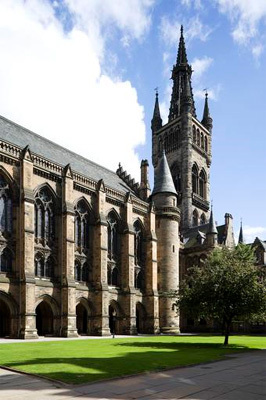 John McColgan, or Colgan, (Gaelic: Seán MacColgáin ) (c.1592-1658) attended the University of Glasgow from c.1605-1607. He was from a Gaelic clerical family, the MacColgans of Innishowen, Donegal. He left Ireland around 1612 and took holy orders on the continent. He entered St Anthony’s College, Louvain in 1620 and quickly became involved in the project run by friars in this institution for the collection, preservation and reproduction of early Irish hagiographical materials. Colgan, due to his knowledge of Irish Gaelic, was ideally suited for the task of taking materials from Gaelic and repackaging them in Latin. He became Professor of theology at Louvain, around 1635 and published editions of the lives of Saint Patrick, Saint Brigit and Saint Colm Cille and several other volumes, including Acta sanctorum in 1645.